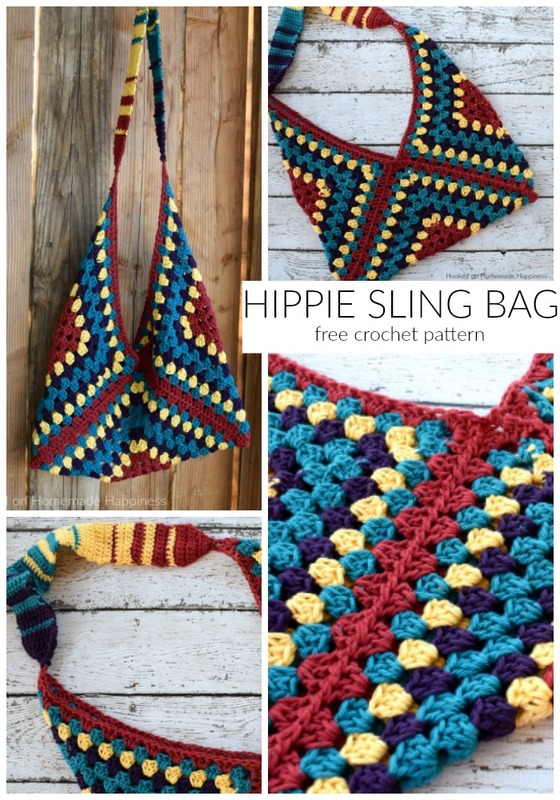 The Hippie Sling Crochet Bag Pattern is my new favorite thing! 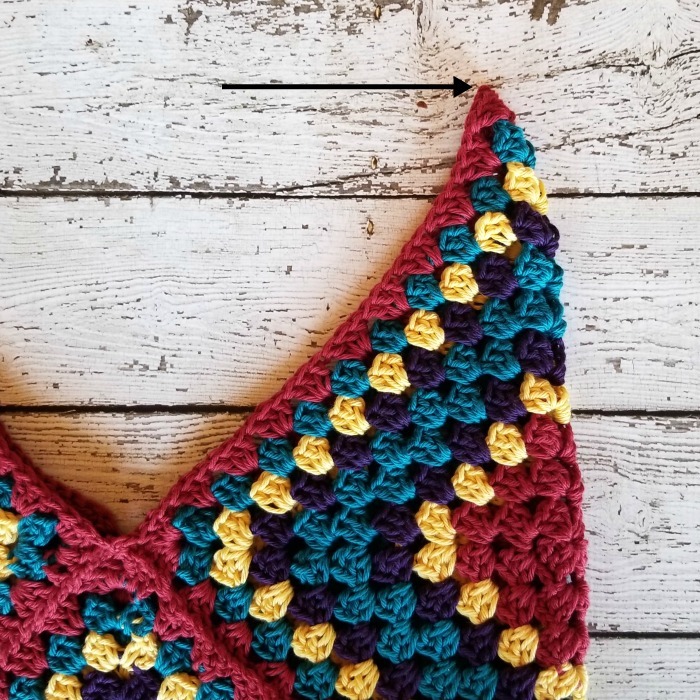 It’s such a fun shape, the colors are bright, and it’s easy! 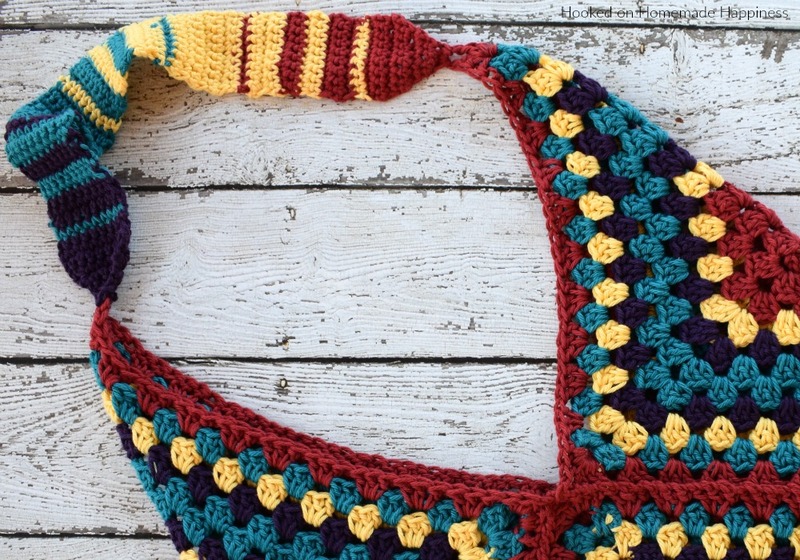 It’s just 3 granny squares sewn together + a strap! 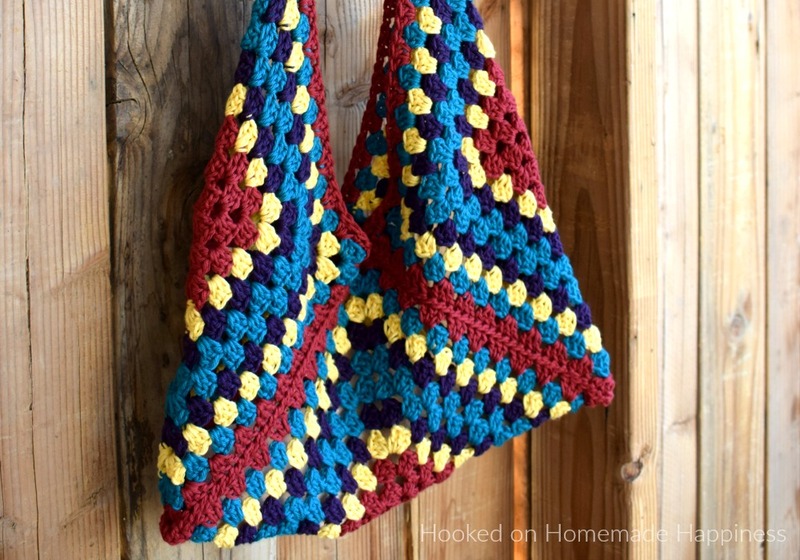 So many different color combinations would be super cute for this bag. 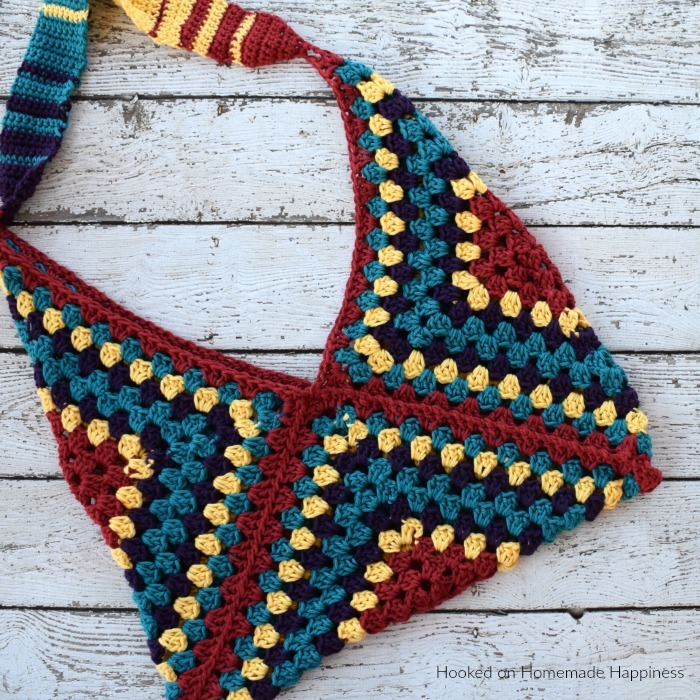 I wrote the pattern for 4 colors, but you can easily make this pattern your own! 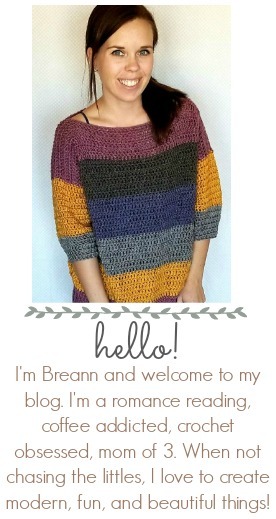 Sew the squares together using a piece of color A yarn 5 times the length of the diagonal edge, and your yarn needle. Join color A in the corner ch. I sewed in the chs farthest from the edge I was sewing to have less of a gap on the top. Whip stitch down the diagonal edge to the bottom corner. Do not fasten off. Repeat on the other diagonal edge on the same side. Turn the bag over and continue sewing along the back to the top center. 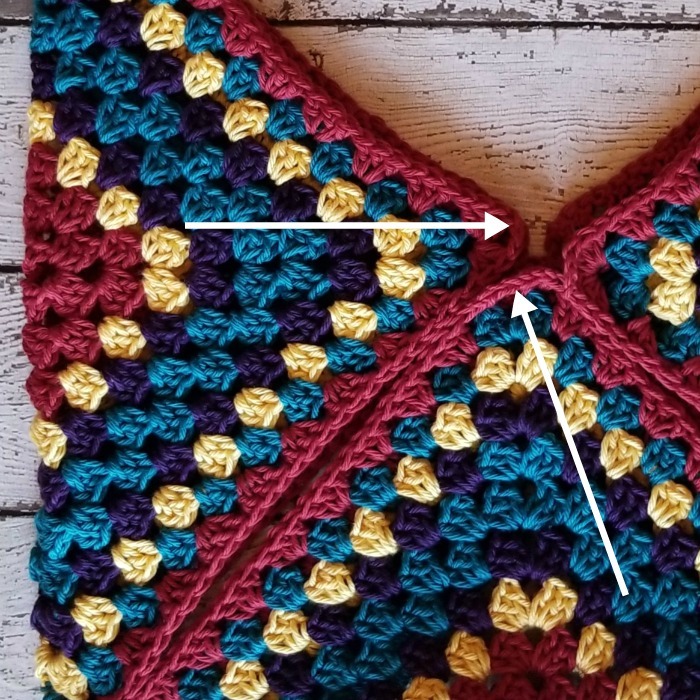 Pick up the yarn from the other side and continue sewing on the back to the top center. And you’re done! I hope you love this fun bag!! 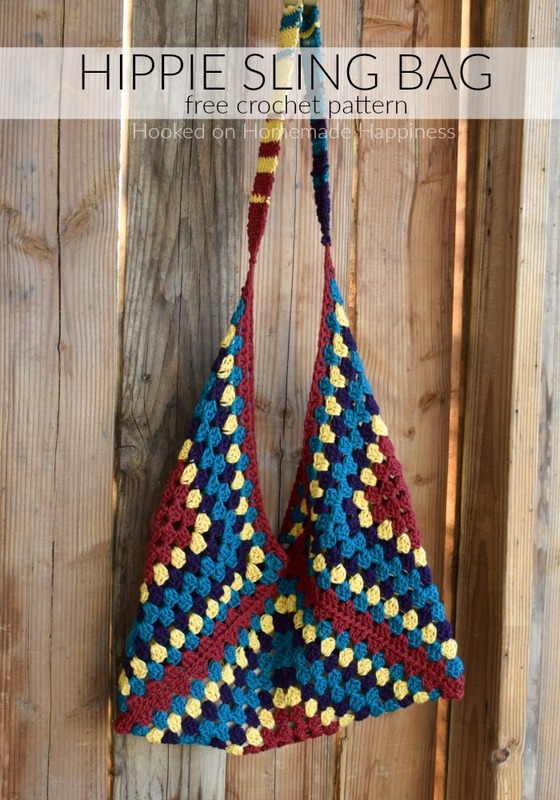 Just finished my bag, I used the exact same yarn and colors. 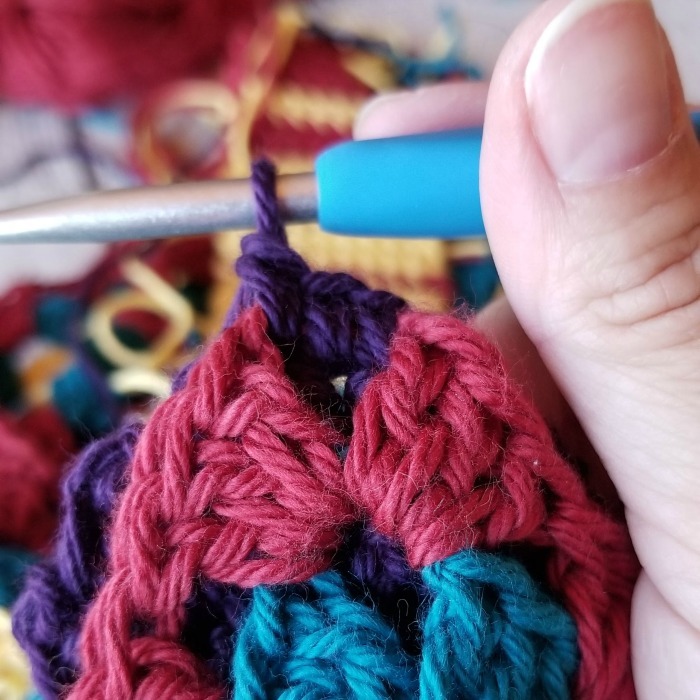 The only thing I did different was to go around each square with single crochet before sewing them together so the whip stitch had a base. 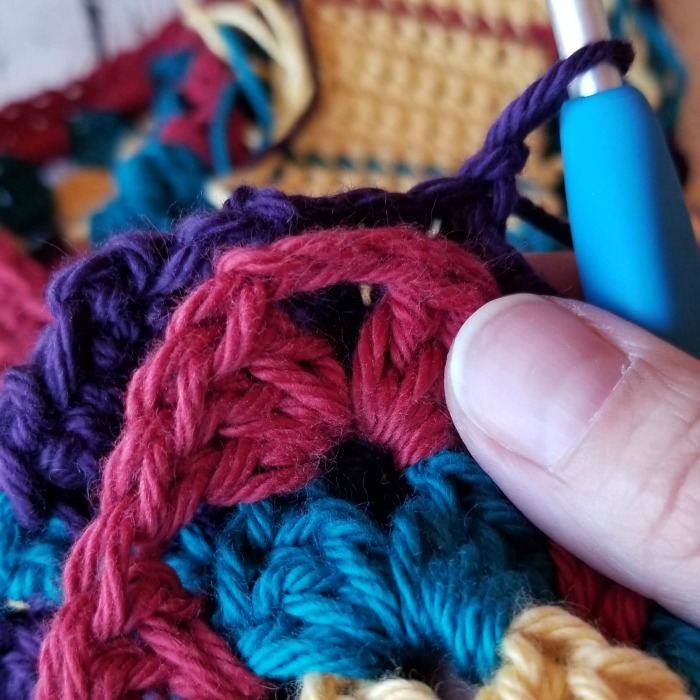 I also did single crochet all around the strap after it was done to give it some reinforcement and prevent stretch where the strap joins the actual bag. 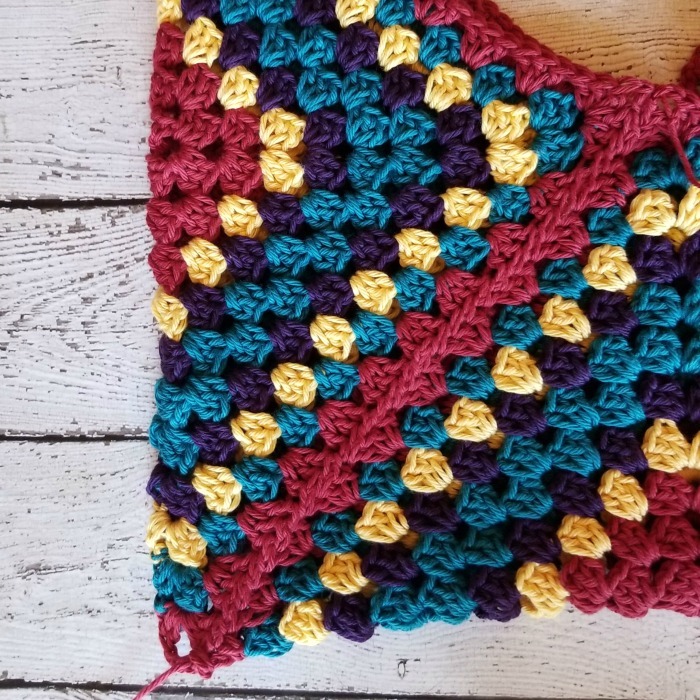 The pattern was really easy and came together quickly. Thanks. can you tell me is the square very tight or loose? I think I don’t have the right hook. my first starting square was pretty floppy? 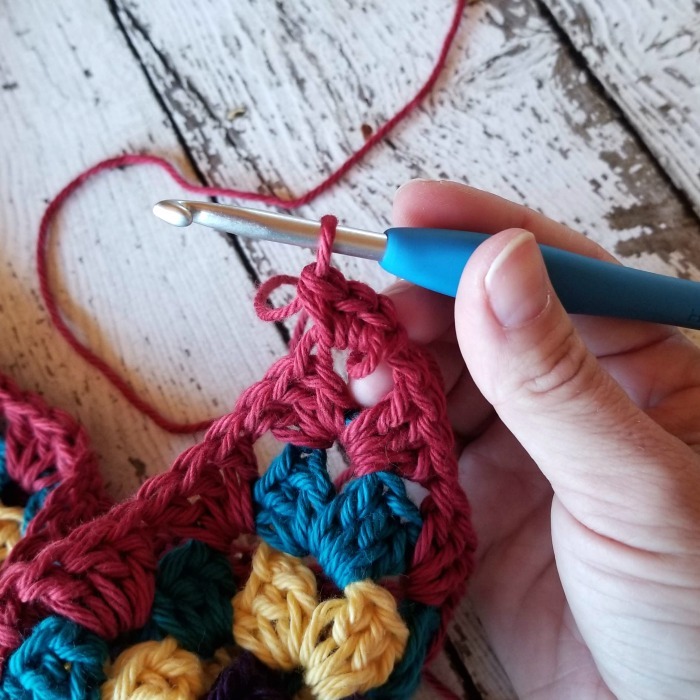 Mine turned out fine following the pattern, but I suggest going down a hook size if yours is loose. I also made two of these bags, on my second one, I modified the corners a bit. On the start of your first DC corner, ch2 instead of 3 for that first DC. Hope this helps. 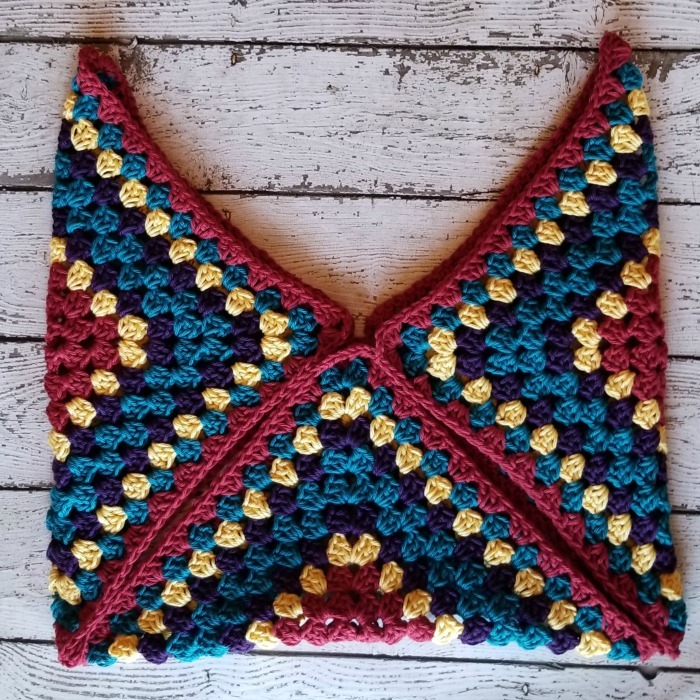 Such a beautiful easy to follow pattern!